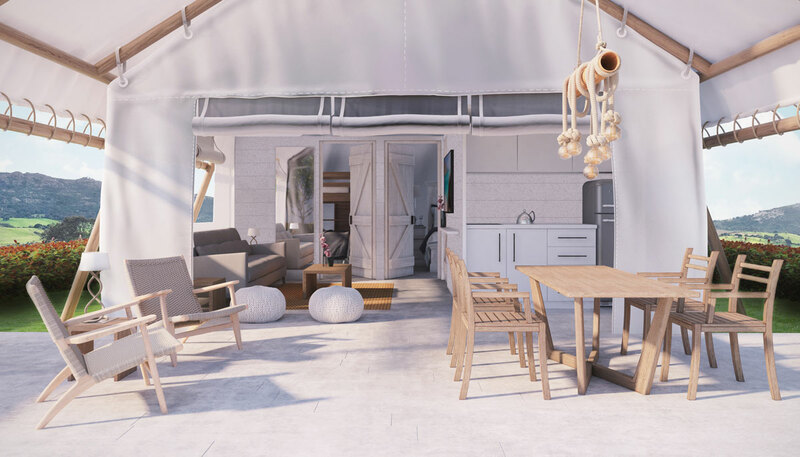 Sails on Kos is a modern luxury tented-villa encampment, nestled in an idyllic setting, very close to the beach. 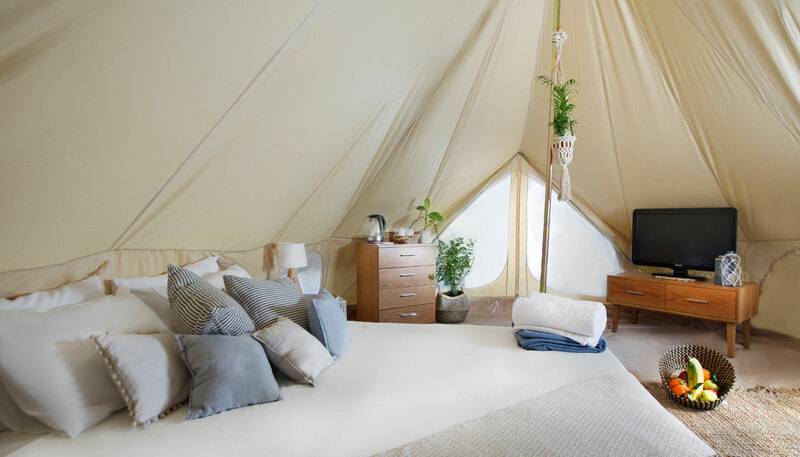 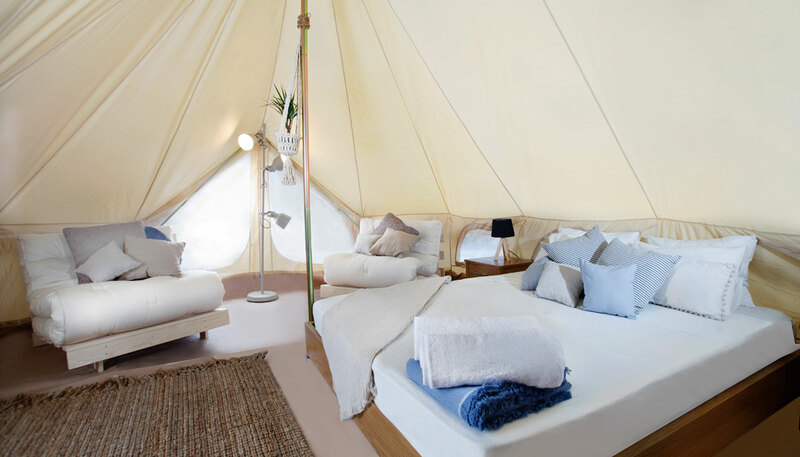 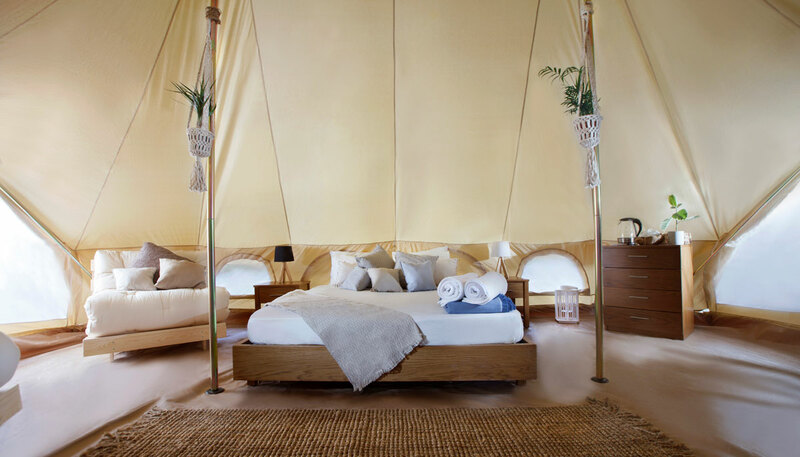 Surrounded by green gardens, the eco-friendly accommodation is comprised of 12 luxury tented-villas in three different sizes (all with private gardens) plus 6 large bell tents in communal grounds. 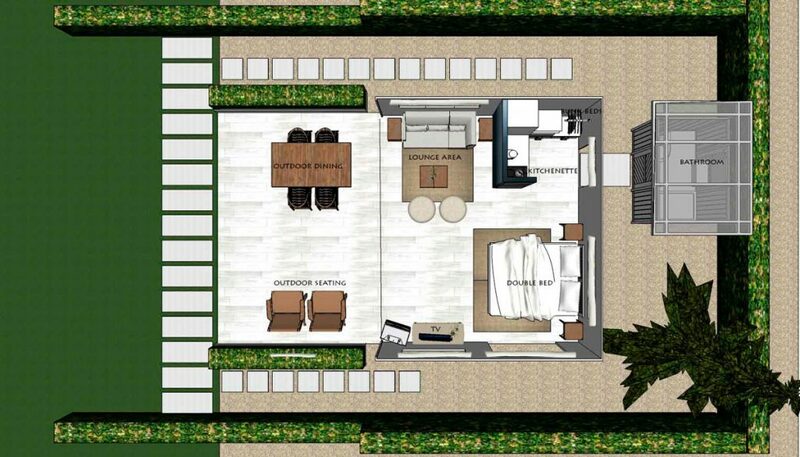 This 400m² unit in a private lawn garden with hammock is an ideal space for a family of four or larger families. 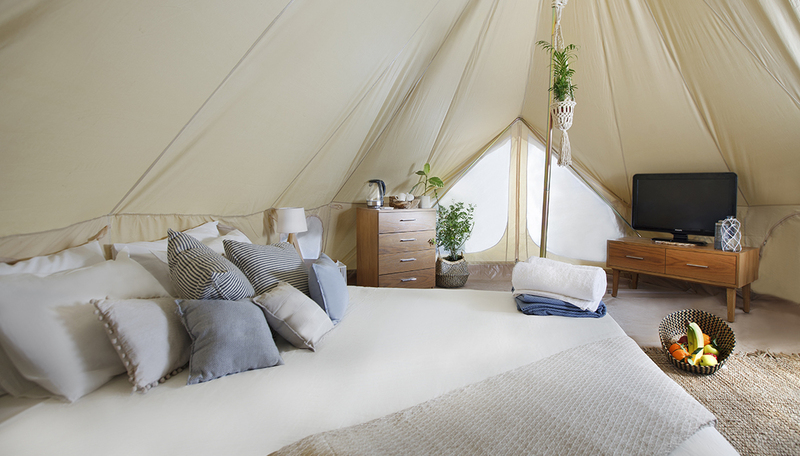 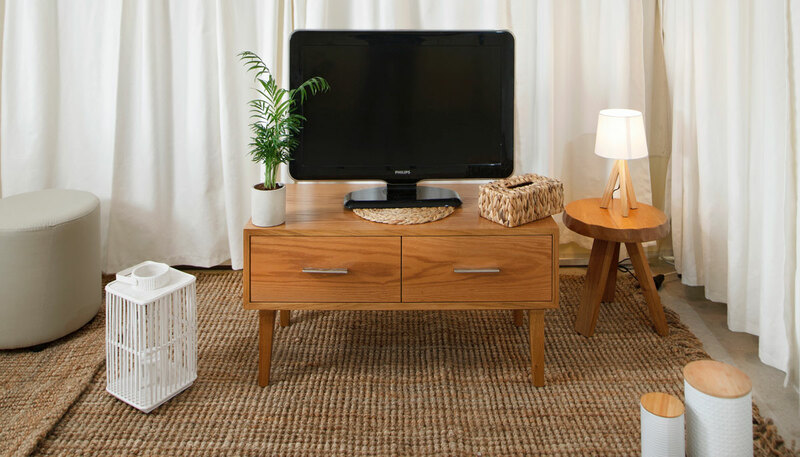 Our lodge has two bedrooms (double and twins), and a lounge sofa that converts to a double bed. 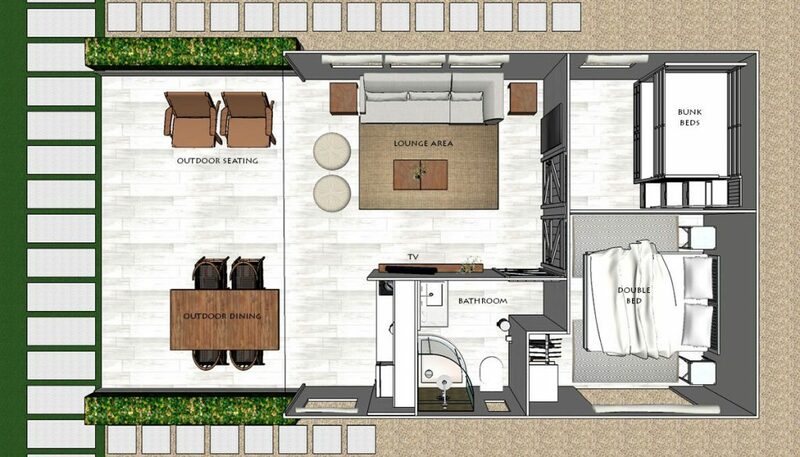 It offers a total 90m² living space, of which 56m² is indoor space plus 34m² deck. 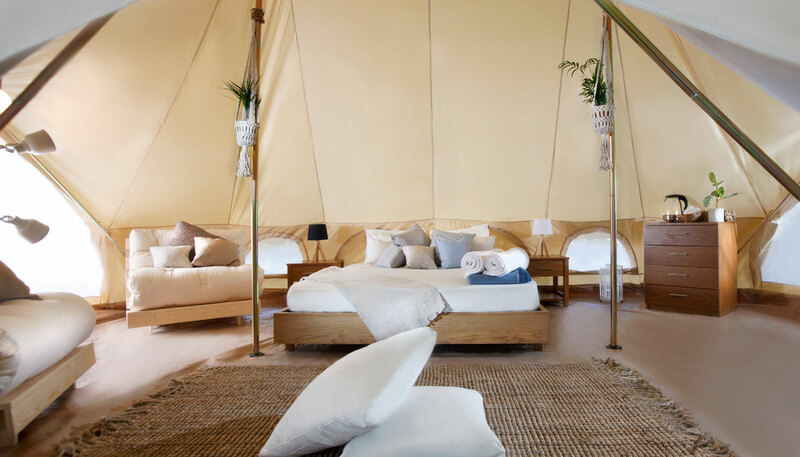 Our lodges come with a folding traditional garden camping tent, for the adventurous young ones that wish for the true sleeping bag experience. 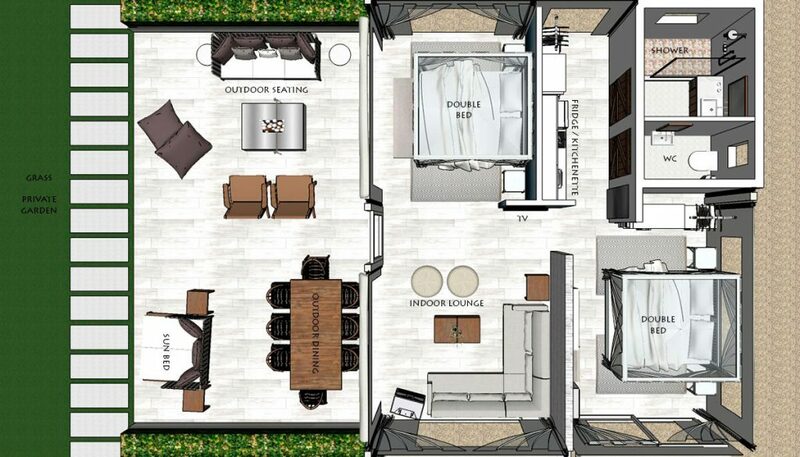 Two of our lodges have double bunk beds in the second bedroom, increasing the capacity to 8 guests, for the extended families. 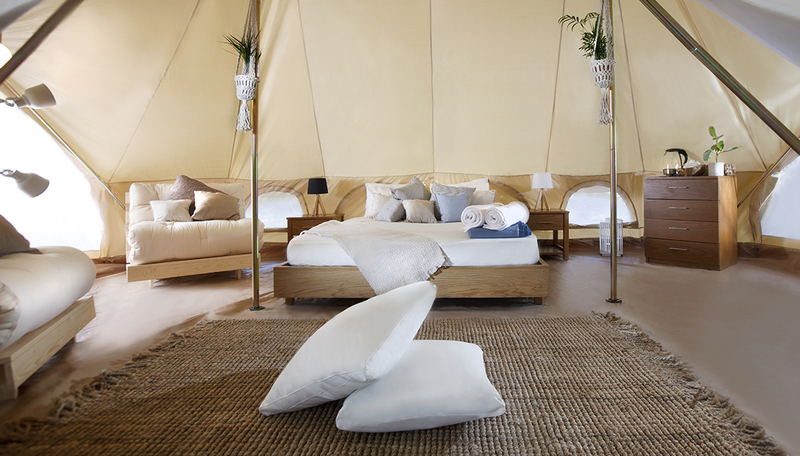 This two-bedroom comfortable 38m² safari villa tent, allows comfort and space for families with teenagers. 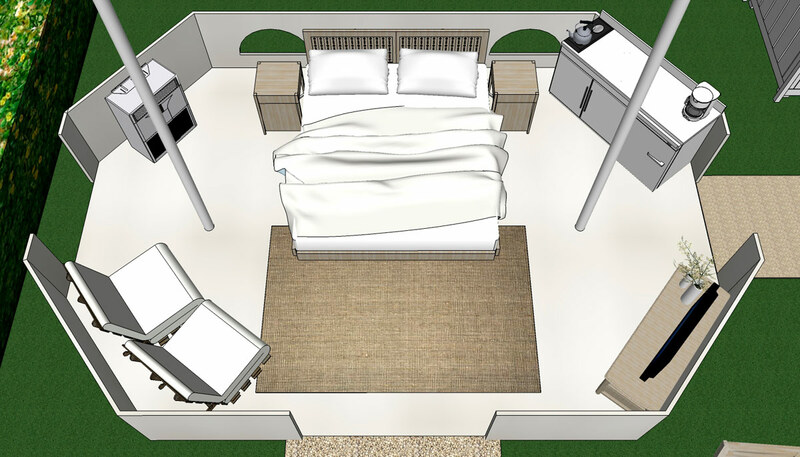 It features a main bedroom with a queen bed and a children’s bedroom with a bunk bed. 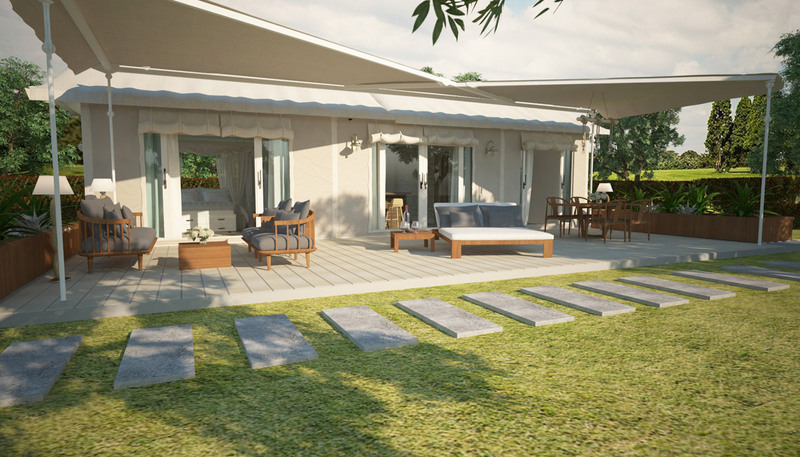 It also has a big 80m² private garden with a hammock and a 25m² deck, providing a total of 200m² living space. 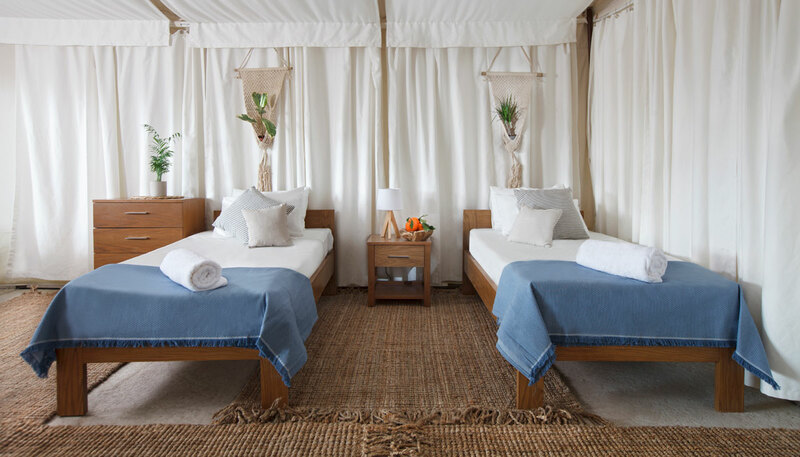 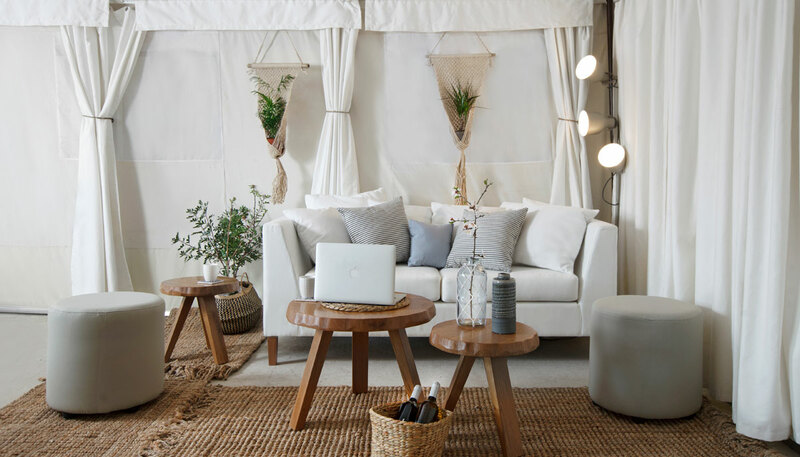 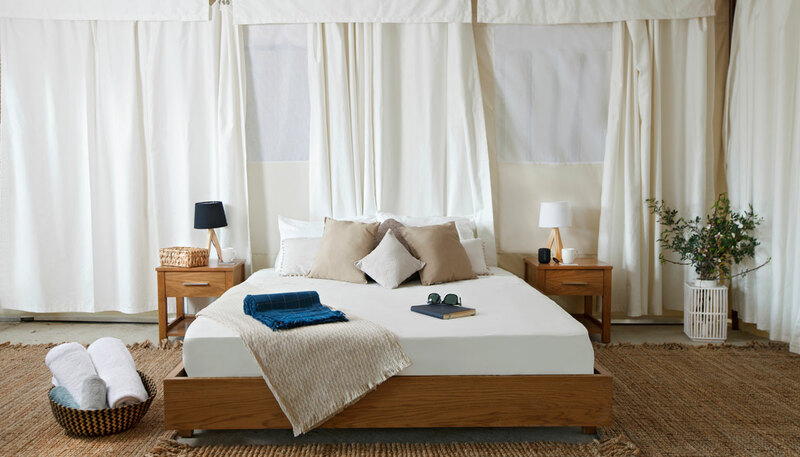 The perfect couples escape, these luxury 1 room tents are ideal for 2 guests and can accommodate up to 4 with an additional fold out double couch. 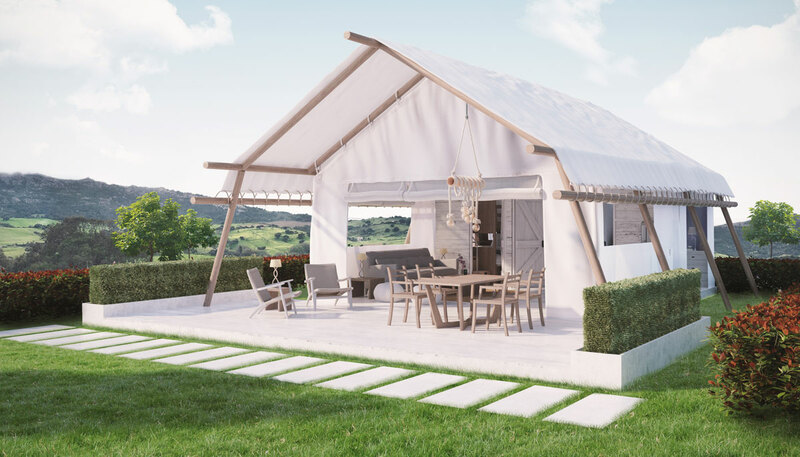 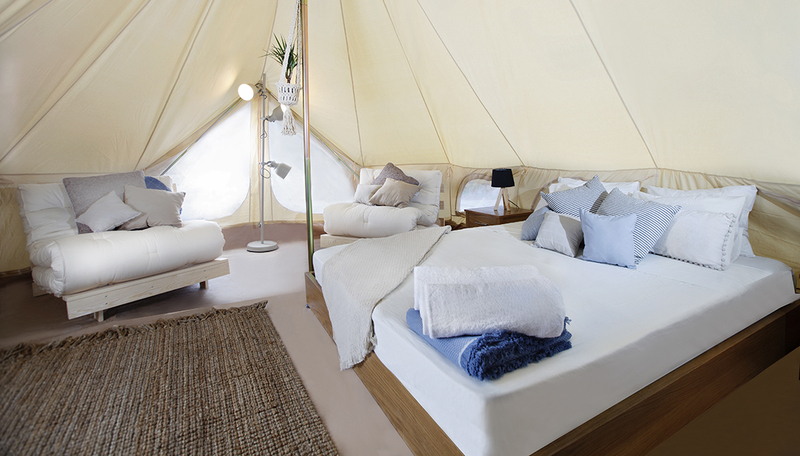 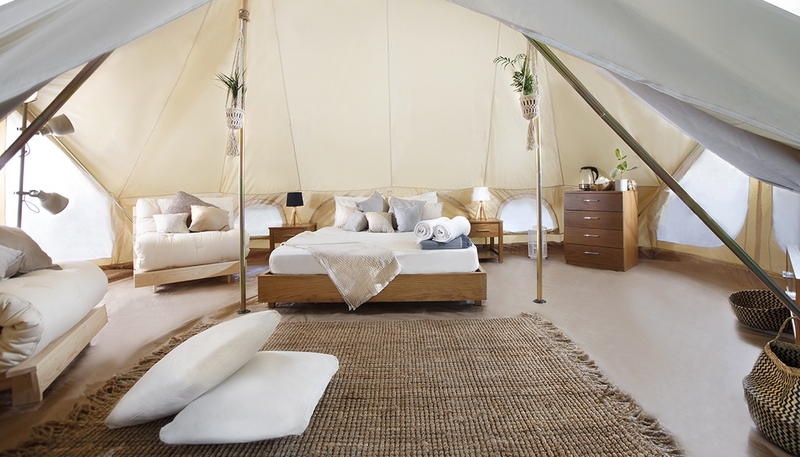 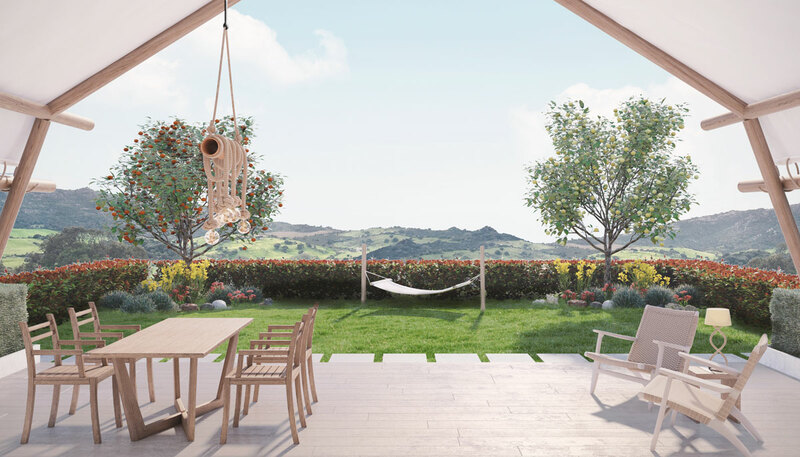 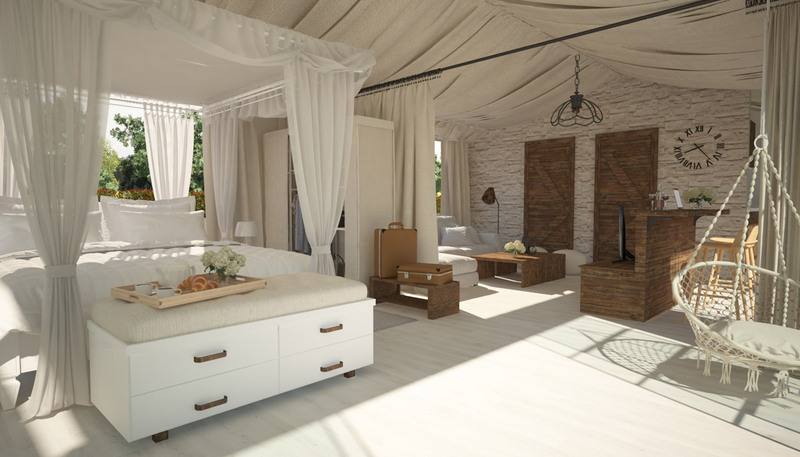 The tent offers in indoor & outdoor living area, private garden and eco friendly bathroom pod. 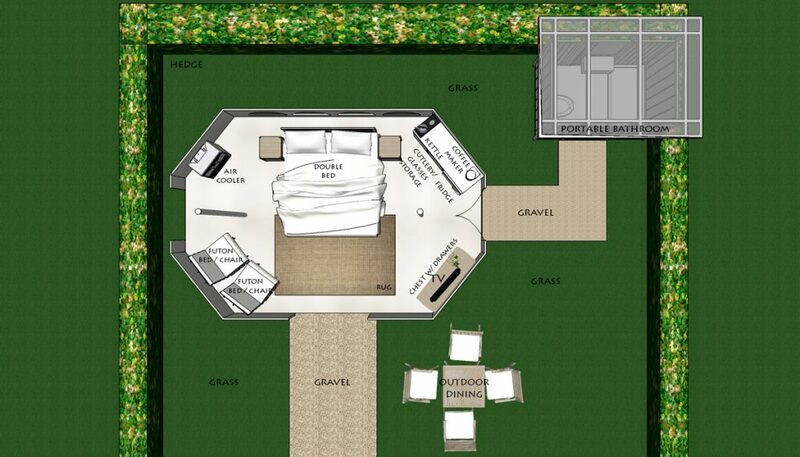 It also has a small 54m² private garden with a hammock and a 20m² deck, providing a total of 130m² living space. 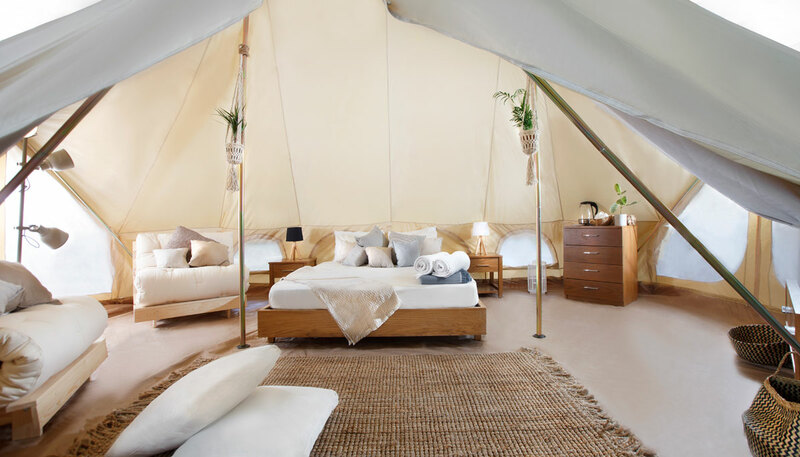 Perfect for couples, friends or family that want a true camping experience without compromising on comfort; these comfortable 24m² is ideal for 1 – 2, or 4 guests, and come with one double bed plus two single fold out futon beds / chairs. 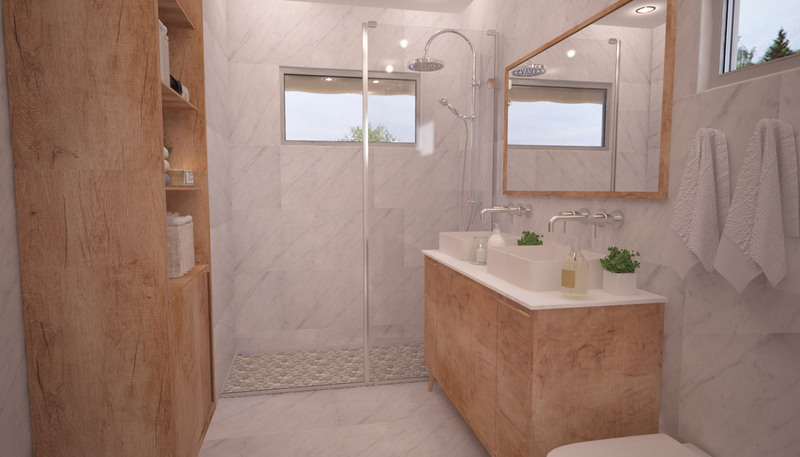 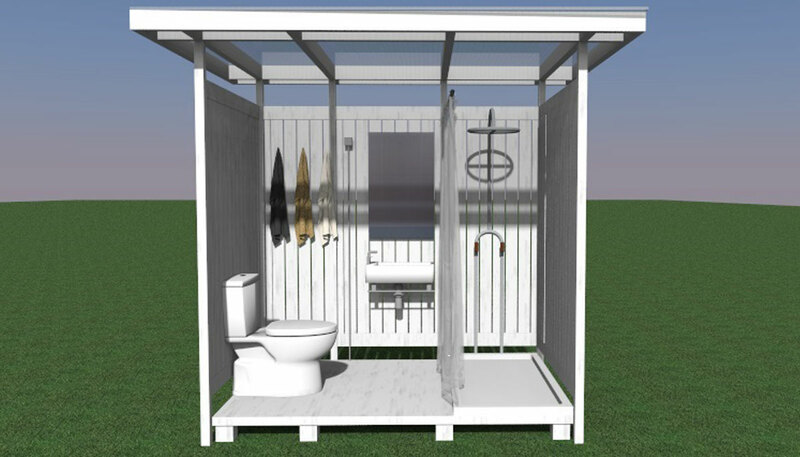 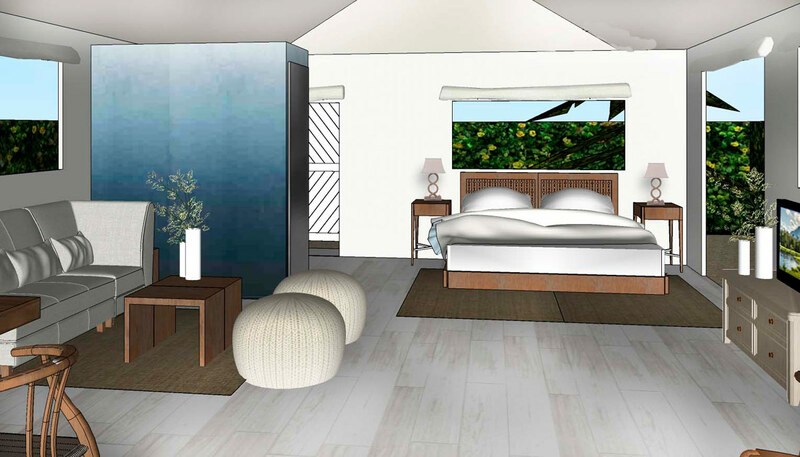 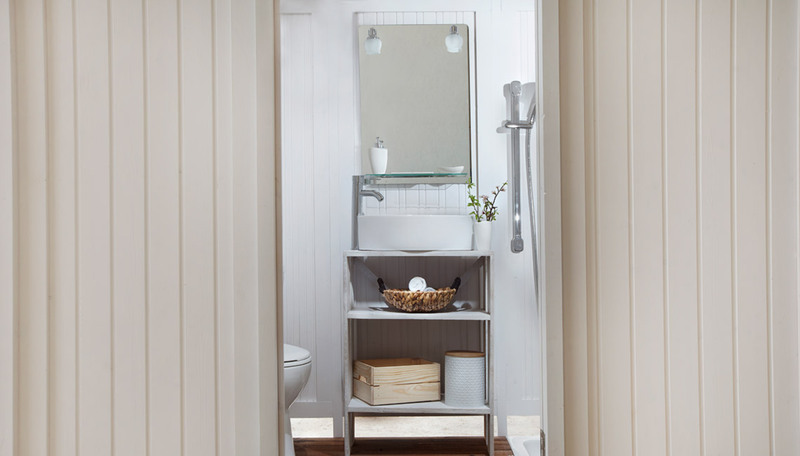 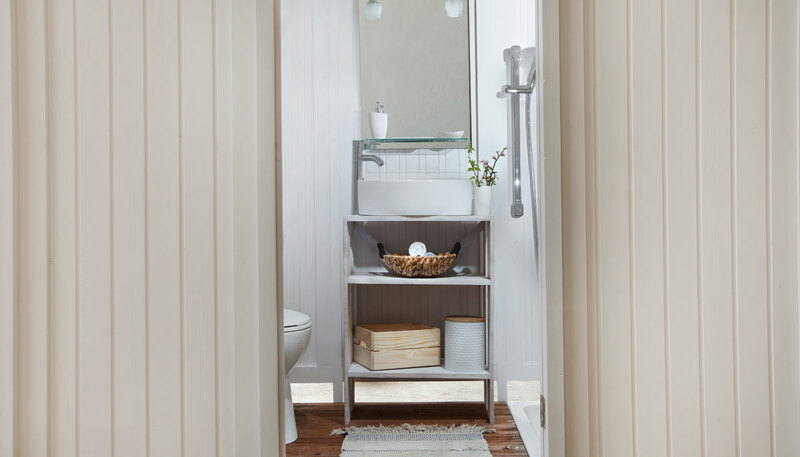 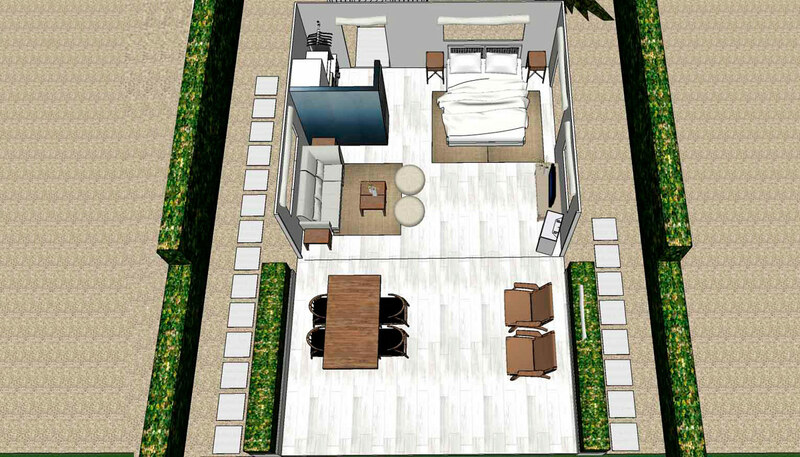 A comfortable 100m² space that includes a bedroom and a sitting area, small garden & private eco friendly bathroom pod.